Your calendar isn't lying: Spring really is just around the corner. The time has already changed, bringing with it another hour of sunshine—and plenty of opportunities and excuses to get outside. Wildflowers, waterfalls, and wildlife all await on the myriad trails that beckon this time of year. Some of the area's higher-elevation hikes may still be buried under residual snow, but plenty of trails in low-lying areas remain open and accessible. So whether you're looking for a thigh-burning climb, an urban trek, or an up-close glimpse at the green spaces around Portland, here's where to go—and what to know—for the best spring hikes in Portland. Despite two options for reaching the top—one of which is semi-helpfully marked "less difficult"—there's no easy way to bypass the difficulty of climbing 3,000 feet in roughly three miles. 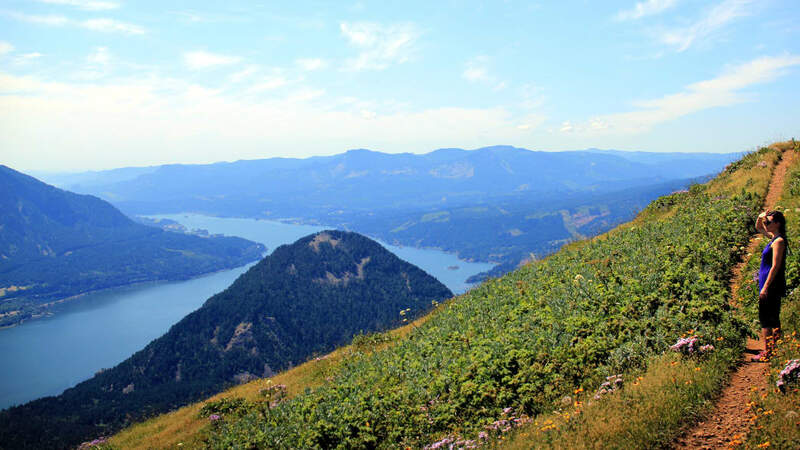 The work is worth it, though; in addition to fields of beautiful wildflowers, hikers will enjoy incredible views of the surrounding Columbia River Gorge. Insider tip: For all its intensity, Dog Mountain is among the most popular hikes in the region. Head out early (or on a sunny weekday) to avoid parking headaches and the biggest crowds. Spend a few minutes on the Trail of Ten Falls in Silver Falls State Park, and you might wonder if you've stumbled into J.R.R. Tolkein's Middle Earth. Thick, lush forests surround hikers throughout the 8.7-mile loop. Spectacular canyon views await behind seemingly every turn. Bucolic creeks bubble throughout. You'll be surprised when Frodo and Sam don't wander by at some point. And that's to say nothing of the waterfalls. (And, yes, there are really 10 of them along the way.) Hikers are treated to close-up views of these impressive waterfalls—more than five of which are at least 100 feet tall—and can walk behind four. 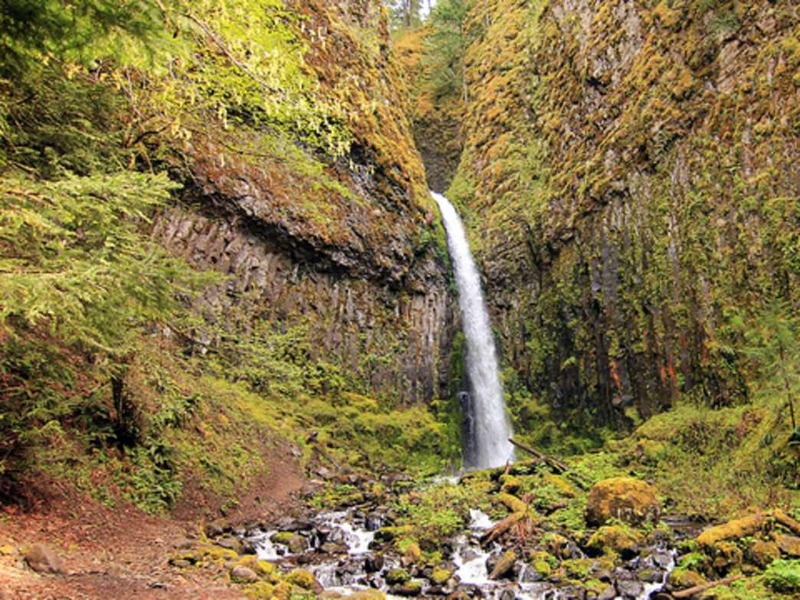 Head's up: Silver Falls State Park is the most popular state park in Oregon. Make the trip on a weekday or show up early on a weekend to avoid parking headaches the biggest crowds. It's almost unfair to mention any waterfall hike immediately after shouting out the Trail of Ten Falls, but the short jaunt to Dry Creek Falls is well worth any hiker's time. 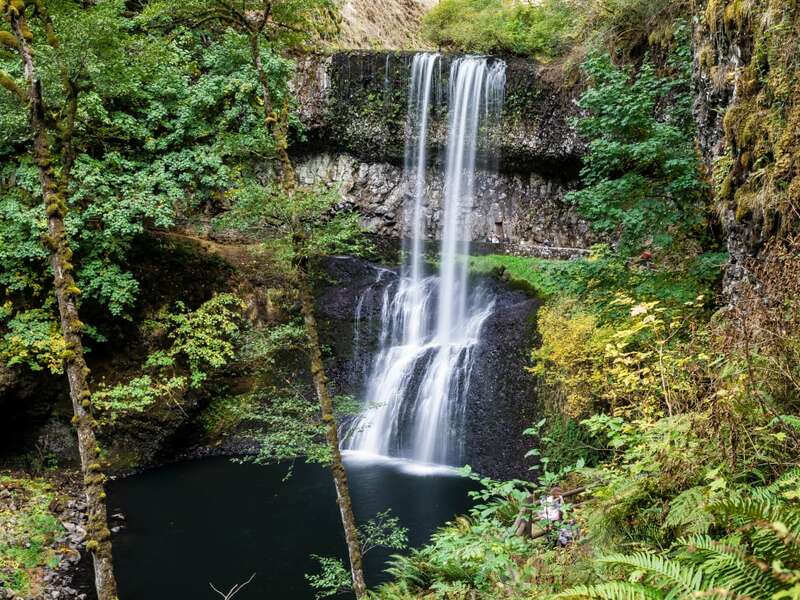 If the thought of climbing 3,000 feet at Dog Mountain or making the 80-minute drive to Silver Falls State Park aren't doable, get your legs into gear with the quick, 4.4-mile out-and-back to an impressive, if oft-overlooked, waterfall in the Columbia River Gorge. A fair grade makes the 2.2-mile hike to the falls feel a lot shorter than it really is, and the thick forest lining the trail adds to the enchantment. At the end of the hike, the single-stream cascade at the heart of Dry Creek Falls flows down 75 feet in front of an unusual display of moss-covered columnar basalt. 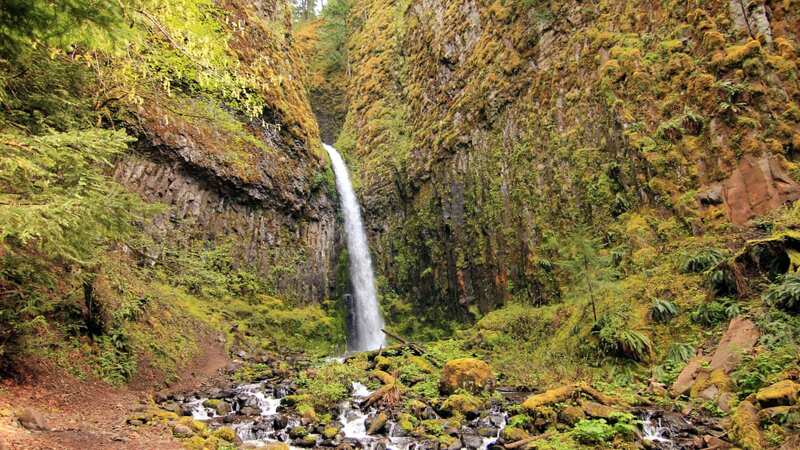 There are plenty of better-known waterfall hikes elsewhere in Oregon, but most demand more from hikers, and few offer the same, beautiful payoff. 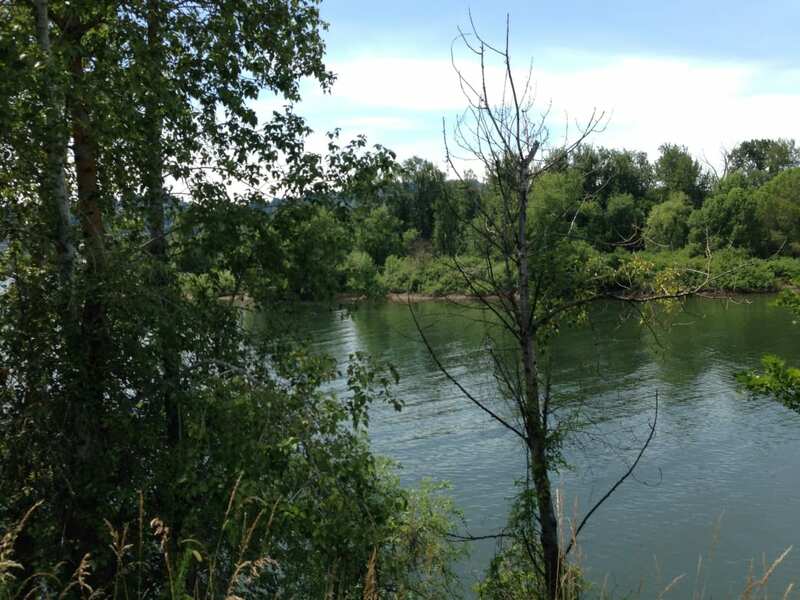 Oaks Bottom Wildlife Refuge isn't the most well-known or back-breaking hike on this list, but the 2.3-mile trail introduces hikers and trail runners to a piece of Portland they might not otherwise enjoy. Today, the lush wetland is a popular destination for an early-morning or after-work adventure, but it was very nearly razed to make way for an industrial park before the City of Portland acquired the refuge in 1969. Restoration and protection efforts paid off. Today, roughly 40 years after that decision to preserve the wetlands, Oaks Bottom is awash in wildlife. Beavers, nutria, salamanders, frogs, mallards, blue herons, and other migrating birds either stop at the refuge or call it home. And, as if to underscore the urban-rural tightrope the refuge walks, hikers will catch glimpses of the downtown skyline—just a 15-minute drive away—at various points along the hike. The 4T Trail unveils the best of Portland over nine fascinating miles, and it doesn't demand much of hikers just getting their legs back after spending the winter indoors. Along the way, the trail showcases the innovative mass transit for which Portland is known, takes hikers through lush forests just minutes from downtown, and delivers one impressive view after another. Hikers start on a trail that spans Washington Park, Council Crest, and Oregon Health & Science University (OHSU). Washington Park hosts innumerable Portland attractions, not the least of which is a dense forest that makes it easy to forget you're in the midst of a busy urban core. Council Crest, meanwhile, is the highest point in Portland and delivers knockout views of both Mount Hood and Mount St. Helens on a clear day. 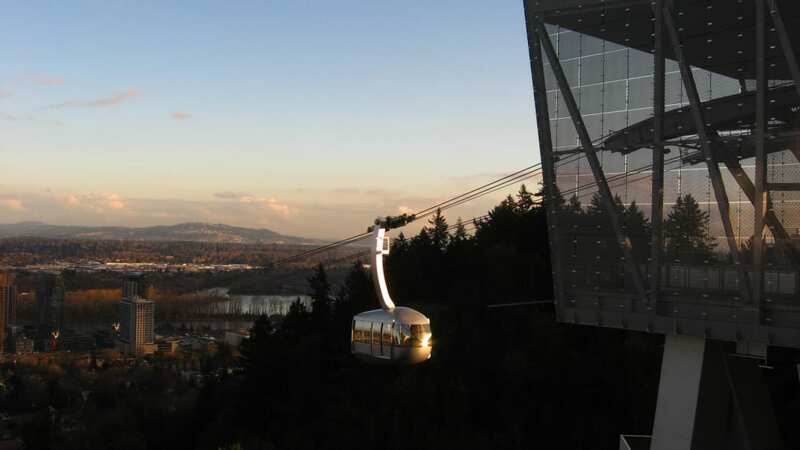 From there, hikers take the tram—specifically, the Portland Aerial Tram—from OHSU, down to the rapidly-growing South Waterfront Neighborhood. The tram's platform promises views of the downtown skyline, the Willamette River snaking through Portland, and Mount Hood rising behind South Waterfront condos. Hikers then hop aboard the trolley—rather, the Portland Streetcar—at the base of the tram. The streetcar heads into downtown Portland. The loop is complete once hikers depart for the train and take the blue or red MAX light rail line back to Washington Park. Fun fact: The Washington Park MAX stop is the deepest transit station in North America.